Here’s the story. 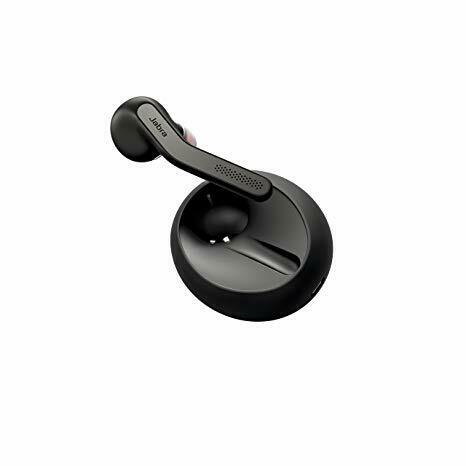 You’re in a super loud office and you’re trying to close a deal, but you need a Bluetooth headset that won’t make you look like Britney Spears on stage. Don’t worry, headsets have come a long way in the last decade, and they no longer look like this. The trick to finding the best Bluetooth headset out there is to avoid spending $300 on one that has the same set of features as a $20 headset. That being said, some headsets on the market are significantly better in certain areas than others. If you work in a crowded salesroom, your priority will be finding a decent headset that blocks out your noisy co-workers. And if you’re on the move a lot, you’re probably on the hunt for a headset with longer battery life. Here are 10 headsets that cover everything from style to sound reduction. Best feature: They’re super discreet, so you can wear them in the office or while taking a call on the street. Everybody is obsessed with Apple's AirPods, but not necessarily their price tag. One of the AirPods’ coolest features is their design. They’re small enough to (almost) go unnoticed but powerful enough to have a crisp, clear phone call with a prospect. No need for cords or a clunky headset. But the average price tag of about $200? Yeah, nobody wants to be paying that. Air Buds, on the other hand, will only set you back $29.99, though. 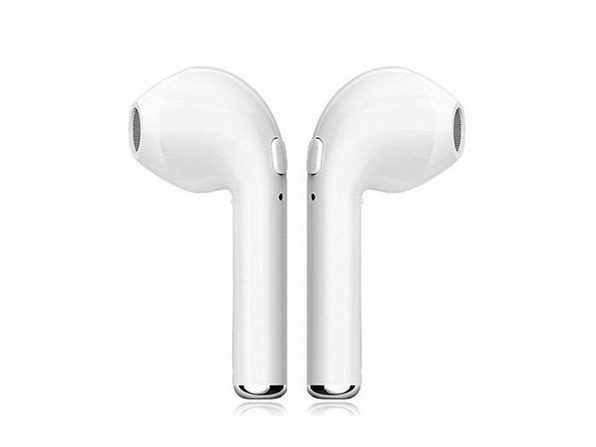 They're produced with Bluetooth 4.2 tech, and if you’re on the move, you can change them in their carrier case (which come with the purchase). Best feature: hooking up two phones at once, while having Siri on standby to help out. If you’re always juggling two phones for handling prospects, the Sony MBH20 will make sure you don’t miss out on vital calls. 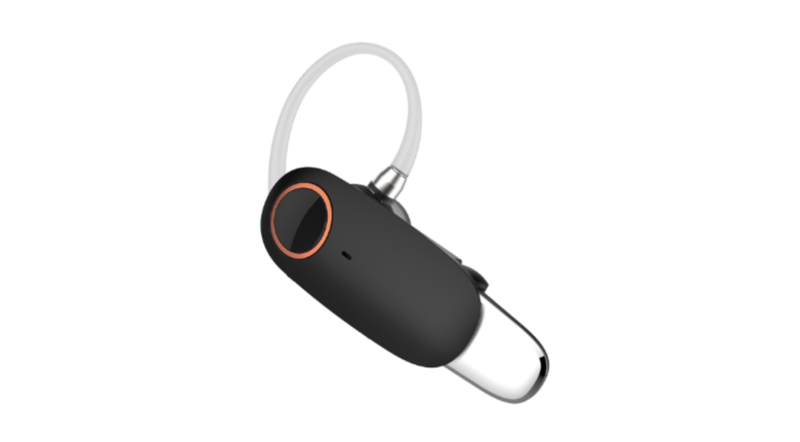 It’s a no frills, one-piece headset that has the capability to switch between two phones. 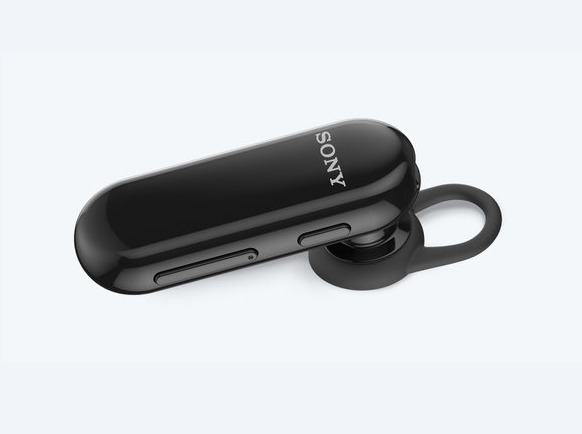 It has a decent battery life, and the minimalist buttons on the side of the headset give you one-touch call answering. Oh, and it has smart access, meaning you can access Siri or your Google Assistant through voice recognition software. Best feature: It has a bit of everything—making it the perfect headset if you aren’t sure which feature is most important to you. 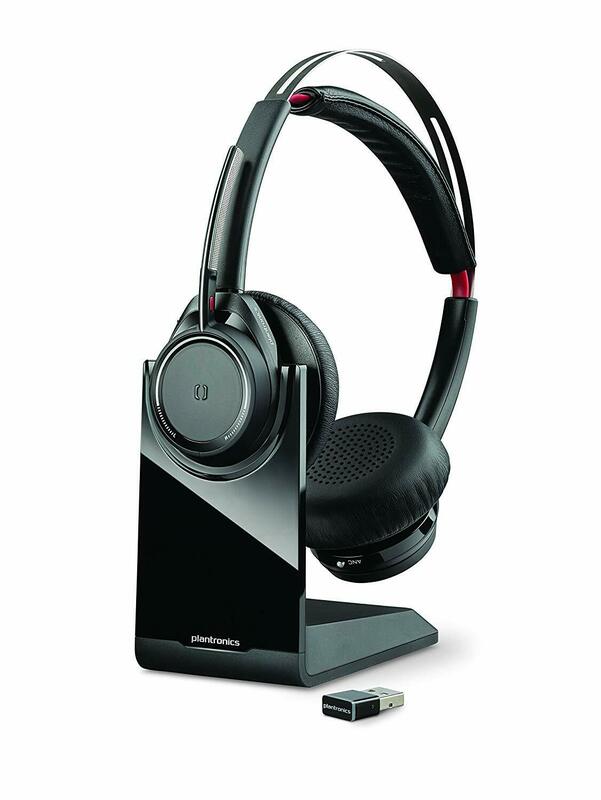 Plantronics has made a name for themselves in the world of headsets. If you’re not sure which feature is most important to you and you need a headset that covers all the bases, the Voyager Legend is your answer. Okay, it’s a bit clunky. But it’s comfortable to wear, and because most of the controls are located behind the ear, it’s easier to use (especially if you wear glasses). You can control volume, calls and turn the headset off, all with those behind-the-ears buttons. Plus, you can answer a prospect’s call by saying “answer” and the headset’s voice recognition system will pick up your demand. It’s fitted with noise-canceling technology, too. Anything up to 80 decibels will be canceled out, so it’s a great pick if you’re always in a noisy salesroom. Best feature: That it doesn’t look like a salesy headset. Okay, it’s a wristwatch. But it also comes with a (detachable) Bluetooth earpiece. Removing the watch face to make it an earpiece takes a single push of a button. Don’t be fooled by the whole “it’s a wristwatch” thing, either. This thing packs a punch. It has a triple-core audio chipset, so any calls you make to prospects will be in HD audio. It also has a dual-mic system to help cancel any background noise from the office. 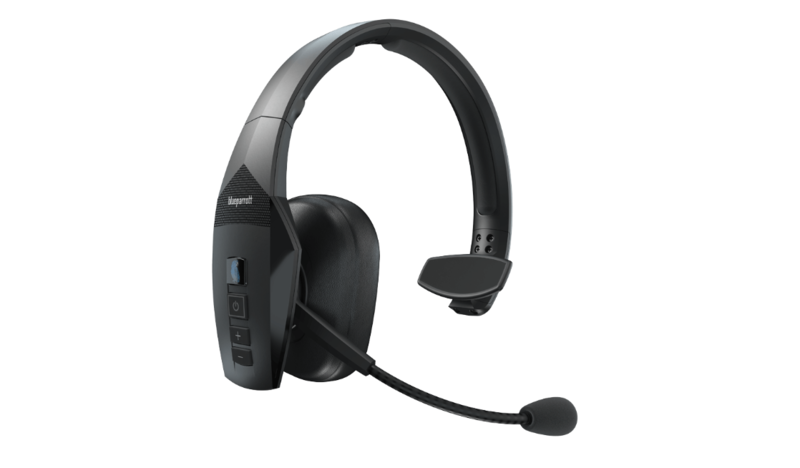 The headset’s Bluetooth range is 30 feet, and its display supports nine different languages (Simplified Chinese, American English, European Spanish, European Portuguese, French, German, Russian, Italian and British English). As an added bonus, the watch has a fitness tracker that records steps, calories, and distance. Best feature: Not making the user look like a putz. 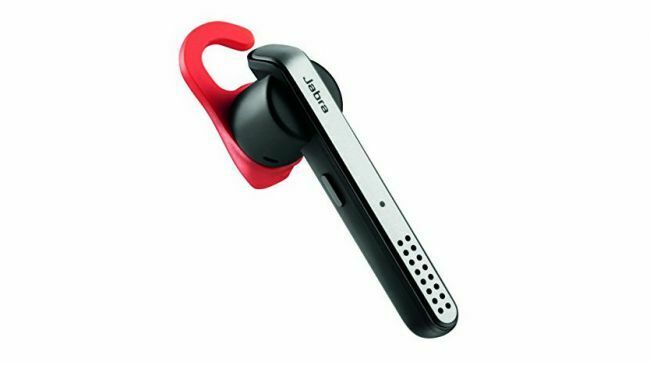 The Jabra Stealth is perfect if you rely on voice-free calls on the move, but don’t want a mega headset taking over your head. It’s small but mighty. The headset has mega sound quality and also cuts out background noise through its built-in audio technology. It also supports Bluetooth phonebook access profile (PBAP), so the headset will tell you who’s calling without you having to even look at your phone. If you rely on voice-free calls (and like looking slick), this headset ticks all the boxes. Best feature: Not making you broke. Not all headsets for salespeople have to break the bank. The Motorola Boom2+ Headset is one of your best options if you’re looking for a Bluetooth headset under $100. It has all of the cooler features of the more up-market headsets (answering calls with voice recognition and noise-cancellation)—just without the massive price tag that normally comes along with them. The headset also gives you audio prompts if its battery level is running low or your Bluetooth connection is getting weak. Seven hours of battery life and a “tap-and-pair” smartphone setup are among the other standout features for this headset. Best feature: Making calls from your desktop easier to manage in the office. Not all prospecting calls are made from your mobile phone, especially in a sales environment. 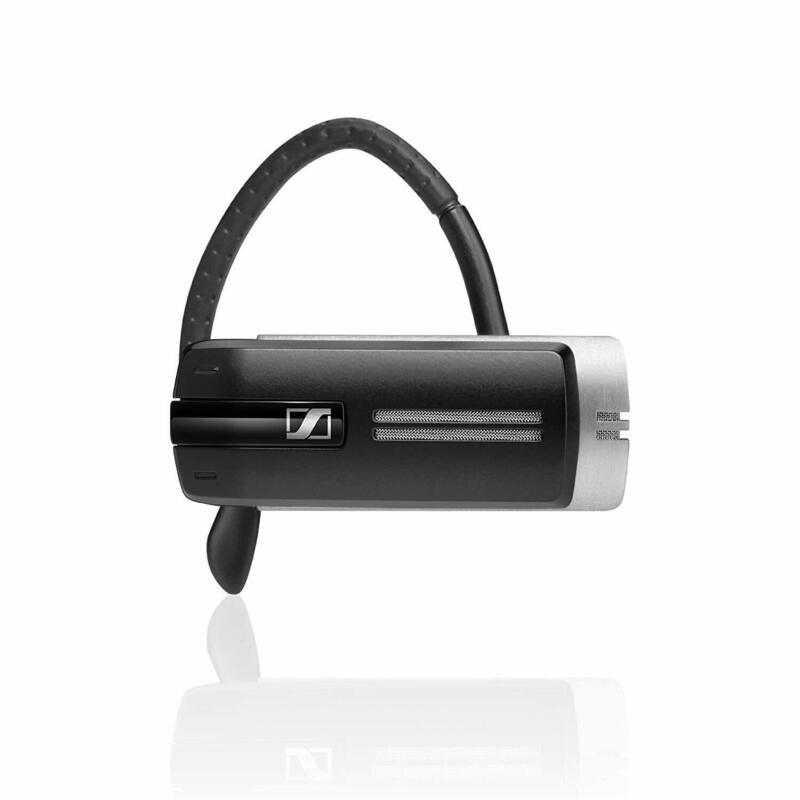 The Sennheiser Presence UC bridges the gap for sales reps who make a lot of calls from their desk, but aren’t capable of doing so with their current desktop setup. Are you using a CRM or similar software? Then this headset is perfect. 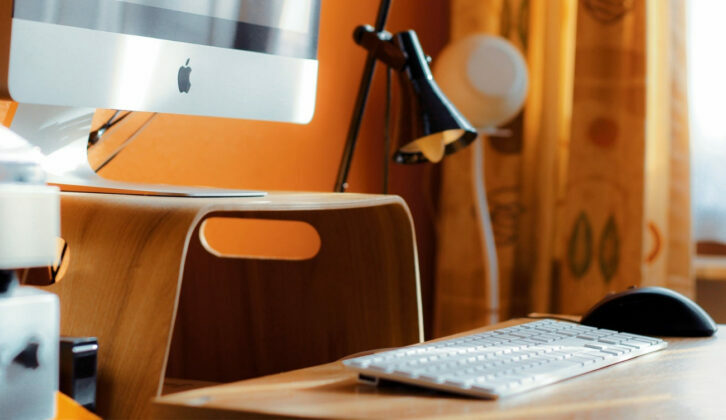 Picture this: you’re head deep in a sales funnel on your desktop, and you find a warm lead you need to follow up on. Instead of getting the details up on your screen and phoning from your mobile, you can just call them straight from your computer. The headset is perfect if you’re working in a fast-paced sales office. It’s a great tool to help you multitask without compromising on sound quality when you’re talking to prospects. Best feature: It’s comfortable enough to wear all day, every day. Notice something different about the Plantronics Voyager Focus? Yep, it’s a proper looking headset. Sure, it’s a bit heavier than the other models on the list, but it makes up for it in comfort and talk-time. While the other headsets are geared towards style and reps on the move, the Plantronics Voyager Focus is built for reps who are staying at their desks looking to smash their targets. 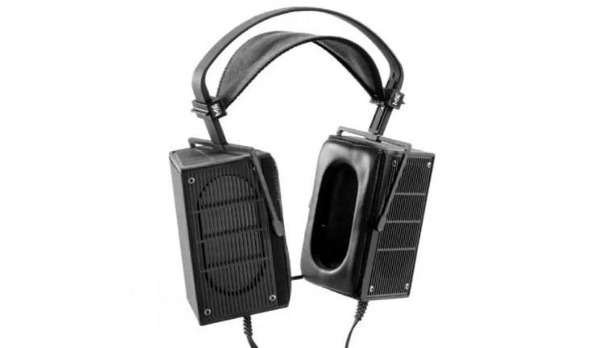 The headset has super soft, padded over-ear earpieces and an extended thin, boom mic that can be moved to the side. These little extras mean your comfort and sound quality will always be on point. It charges via a USB point, and built-in smart sensors answer your calls automatically when you place the headset on your head. Best feature: Its Bluetooth range is a third of a football field! Not only is this headset tiny (weighing in at a touch over 5 grams), its Bluetooth capabilities make it one of the best in the business. The headset’s Bluetooth reach is 30+ meters. And while that’s a massive positive in itself, it’s also packed with two microphones, noise-canceling technology, HD voice software—and pairs up with the Jabra Assist app (one of the most powerful voice assistants on the market right now). With the app, you can customize your audio quality, change up your language preferences and have it read out your text messages. There is a downside to the Jabra Talk 55, though. The headset’s talk time is just three hours (72 hours on standby). And although you can boost the battery by charging it in its case when it’s not in use, the battery life just won’t be enough for some sales reps.
Best feature: Drowning out your noisy co-workers. Are you fed up having your noisy co-workers hijack your sales calls? Noisy co-workers and loud offices are the bane of a sales rep’s existence, and the impact noise makes on the quality of sales calls shouldn’t be underestimated. The BlueParrott B550-XT has an advanced microphone system that has a dedicated mic for detecting (destroying) ambient noise. Yes, it’s more expensive than other noise-canceling options on the list, but the headset can pay for itself in more closed deals. 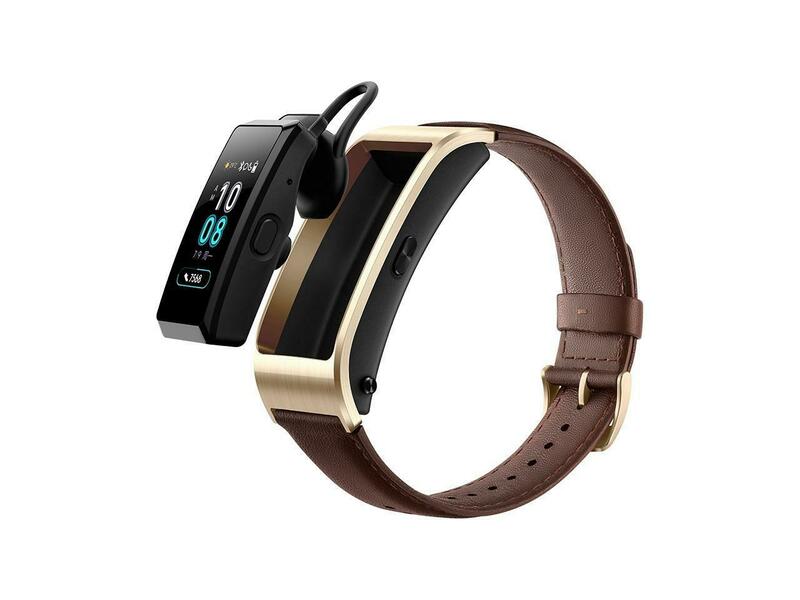 Other bonuses include a long talk time (24+ hours) and a Bluetooth roaming range of 300 feet. The right headset can boost your sales game. If you’re thinking... “It’s just a headset, how much does it really matter?”, think again. 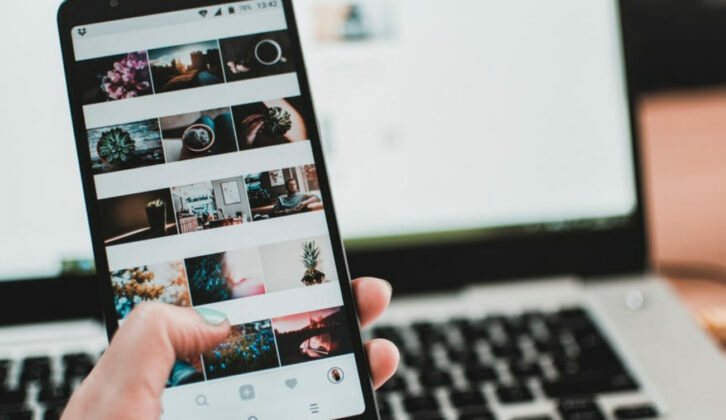 The right headset can not only boost the quality of communication with prospects, but it can also save you time in the office. 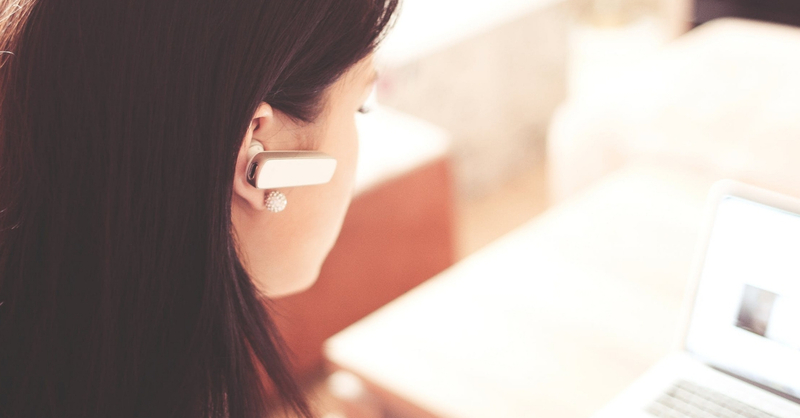 Because Bluetooth headsets are built to interact with your sales software, you can call prospects right from your computer, saving you time on dialing numbers (sometimes, it’s all about the small wins). Plus, choosing the right headset can mean the difference between your prospect actually hearing your pitch, or being drowned out in a sea of office noise. Decide what feature is most important in your daily sales grind, and choose the Bluetooth headset that’ll reward you by boosting your sales game.